Like all hardware-encryption, the drive works in conjunction with an encryption management system. Micron's C400 SED solution was built in partnership with leading encryption management provider Wave Systems (Nasdaq:WAVX). Wave's EMBASSY® management software provides policy-based access controls, comprehensive reporting, directory services integration and end-user access recovery that allows IT to cost-effectively implement and administer endpoint encryption. Importantly, Wave's management software gives IT confidence that data is protected in the event that a computer—or the drive itself—is lost or stolen. The C400's encryption key is protected within drive hardware—separate from the host. This is one reason why hardware-based encryption is superior to software encryption (an alternative solution that stores the encryption key in the computer's memory, where it's vulnerable to attack). Micron's SED offers stronger security because the encryption key never leaves the drive. User authentication is performed by the drive prior to starting the operating system, ensuring independence from the operating system. Another disadvantage of software-based encryption is its dependence on the computer's processor, which can degrade performance. 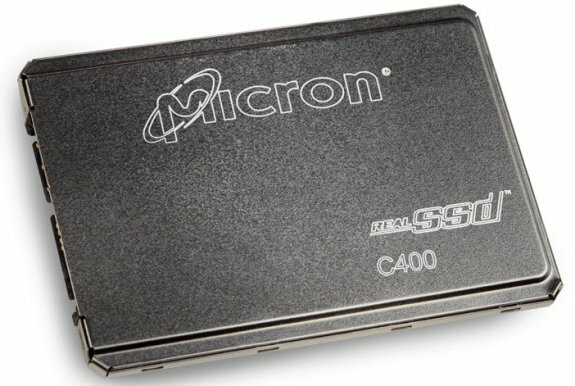 In contrast, Micron's C400 SED performs all encryption inside the SSD's controller, ensuring no system performance degradation. The C400 SED SSD is available in 128-, 256-, and 512GB capacities, a SATA 6Gb/s interface, and 2.5 and 1.8-inch form factors. The drive's sophisticated NAND management delivers sequential read and write speeds of up to 500 MB/s and 260 MB/s respectively – the same high performance as Micron's popular C400. The drive will be sampling and in production in the fourth quarter of this year and will be available through Micron's global distribution network.